Dee Snider is an influential hard rock legend, reality TV star, Broadway alumnus, horror movie director, radio host and the face and voice of the legendary TWISTED SISTER. He possesses a resume that many would kill for. And yet the singer's thirst for metal is far from quenched. 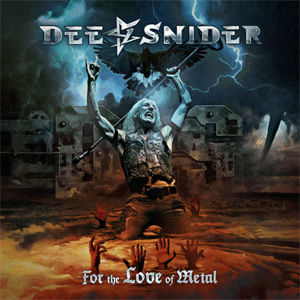 Now Dee Snider is back with a brand new album entitled For The Love Of Metal, to be released on July 27th via Napalm Records. Pre-order For The Love Of Metal HERE. Watch DEE SNIDER's video statement on For The Love Of Metal below!